If you follow me on Twitter you might have noticed me using the hashtag 100HarpyDays recently. It's an adaptation of "100 Happy Days" where the idea is you tweet/update your status/in some way share on social media a picture of something that made you happy that day. 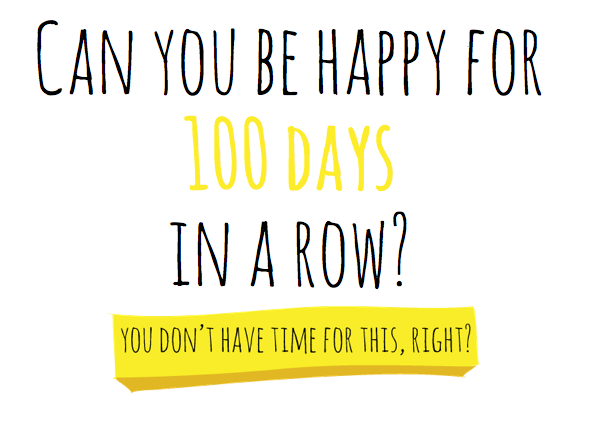 The theory being that by finding things that make you happy- however fleetingly- every day for 100 days in a row helps you notice the things that make you happy. It forces you to stop and smell the roses and appreciate the little things. Focusing on the negative is one of those qualities that I know I have and wish I could stop, when I'm not sleeping properly I'll get up in the morning and say "Oh it took me ages to get to sleep last night I was tossing and turning until 4am" instead of thinking "Once I got to sleep I was out cold and slept like a rock for four hours". This challenge is designed to be something that doesn't take up any time at all but can have such a positive impact by reminding you that there are things that make you happy even on the worst days of dreary January. You can sign up on the 100 Happy Days website with your email address and letting them know what platform you'll be using as well as how you'll be marking your posts, they recommend just #100happydays but you can personalise it which I did. If you want it to be even more private then you can email the website directly with your pictures. When the 100 days are up they round up all the posts you made and send you the full list, complete with pictures, of what made you happy over the past 100 days. So far it seems to be working, I must admit that I haven't been taking pictures but that's because a) my phone hates twitter so it's a real faff to upload pictures and b) some of the things that have been making me happy aren't things I know how to take pictures of. I've missed a few days here and there but that's what happens when you're having fun! Thank you so much for sharing this! Some similar ideas were in my mind recently and I'm glad there is a platform where it is possible to make it.